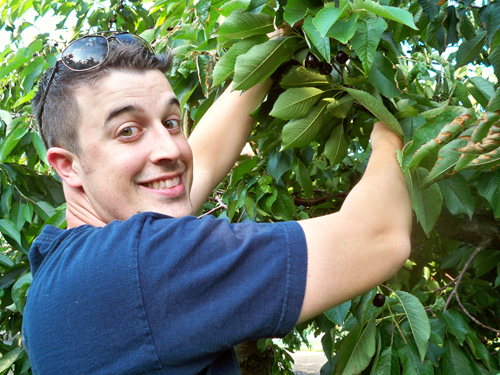 After work Aaron and I went to Brown's Berry Patch to pick cherries. I was glad to have an extra tall picker with me. 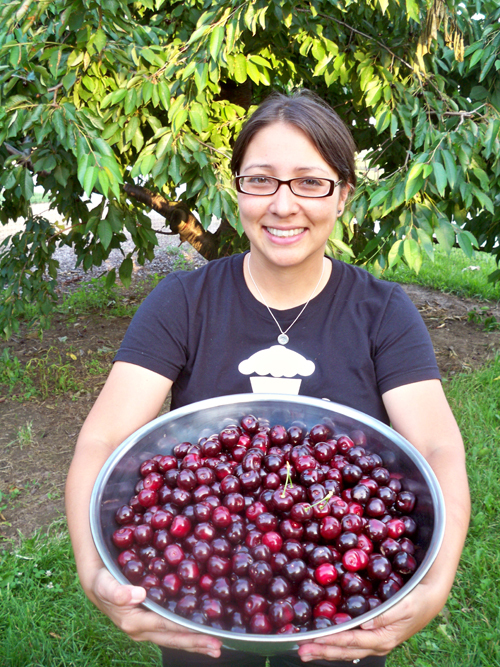 We picked a HUGE bowl of cherries. 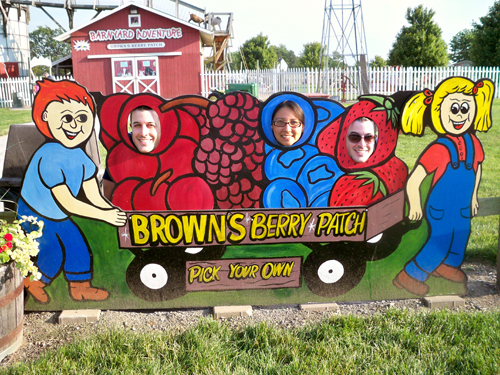 There was so much to do at Brown's, there were farm animals to feed etc... I'd like to go back! 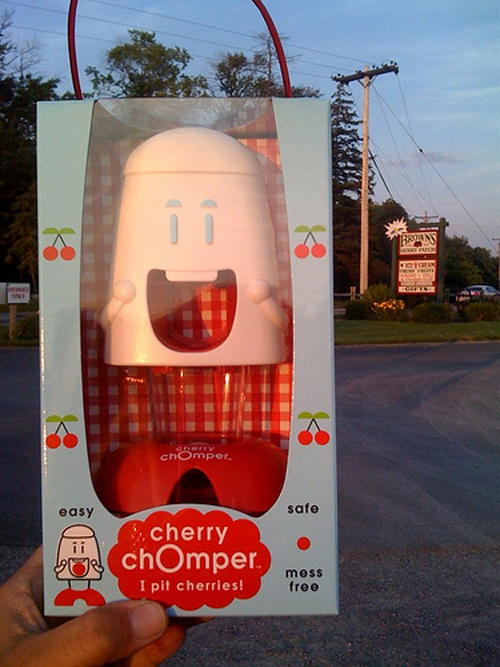 I also picked up a Cherry Chomper and I am so excited to use it! Oh mi goodness! 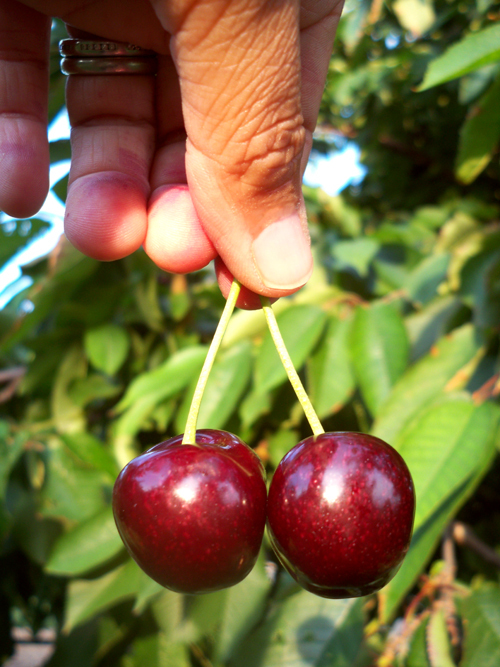 I saw the exact same cherry pitter the other day and I was totally going to buy it.. except that I don't eat cherries, and my husband would not like more clutter in the house. BUT IT'S SO CUTE! Hey, wait a minute! There aren't TWO Aaron's are there?! That cherry chomper is AWESOME! My husband and I were at Brown's Friday night after our fish fry and walk on the pier. I as eye balling those Cherry Chompers!! I would have been star struck if I had run into you and Aaron! !